RABEN (Red de Asistencia a Ballenas Enmalladas) is a specially trained team of researchers with the Laguna San Ignacio Ecosystem Science Program (LSIESP) and the Universidad Autónoma de Baja California Sur (UABCS) that attempts to remove fishing gear from gray whales in Laguna San Ignacio. 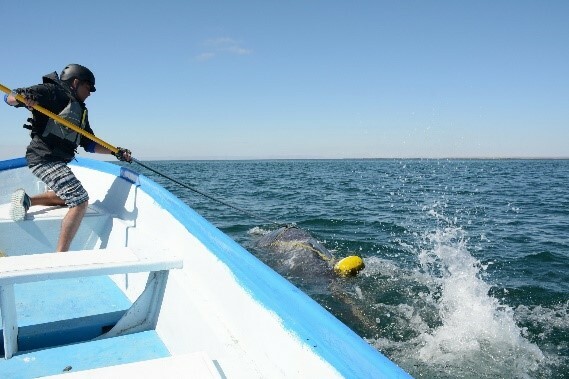 Each year in Laguna San Ignacio we encounter gray whales that have fishing gear wrapped around them, particularly young calves, and if possible, our researchers attempt to remove these lines and floats. 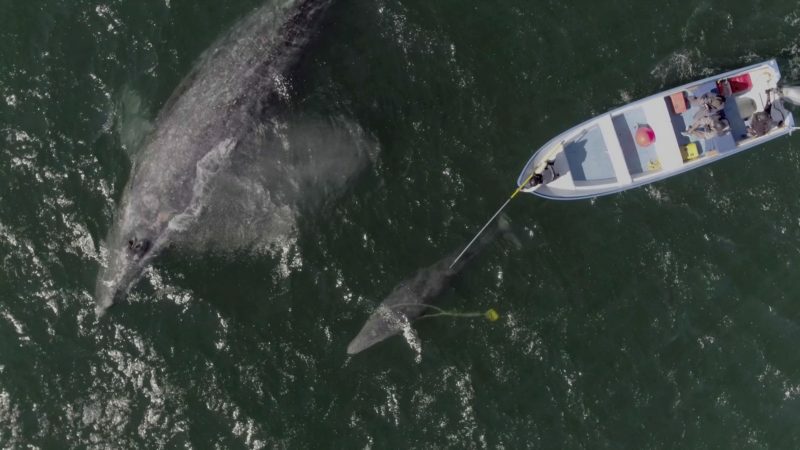 This past winter our team successfully removed fishing gear (lobster trap, lines and floats) from a gray whale calf, saving the young whale’s life. It required 4 ½ -hours to successfully remove the gear from the calf. The mother whale stood by her calf the entire time. Read the account of this gray whale’s disentanglement below, and please consider supporting our work to conserve gray whales in Baja California. Visit our website to make a donation so we will continue to be there for the whales.